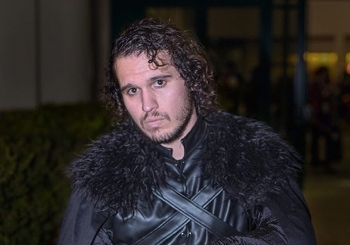 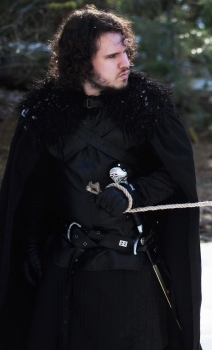 A psychology student from California looks so much like Game of Thrones' Jon Snow that he is mobbed by fans of the fantasy show. 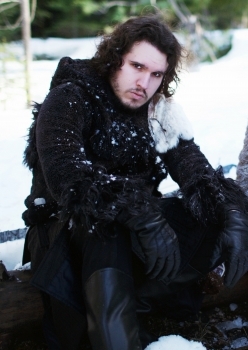 With his curly black hair and smouldering eyes, 22-year-old Zak McIntosh, of Fresno, California, is the double of British actor Kit Harington, who plays Snow in the HBO series. 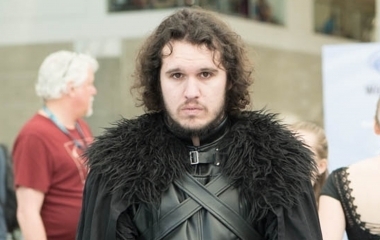 Zak, a student at Fresno State University, attended Sacramento's Wizard World Comic Con wearing a $500 replica costume and he was quickly surrounded by fans.